You don’t have to spend hours creating a complicated budget. I get it. Budgeting isn’t the most exciting way to spend your time but it’s definitely the most important. If you are like me, having step by step instructions makes things a lot easier. So today, I am giving you exactly that. A step by step, easy to follow guide with pictures! So, sit back, grab a notepad, a cup of warm tea and let’s get to work. When you don’t have extra money sitting in your bank account, one of the most important things you can do is create a budget. A budget allows you to keep tabs on how much money is leaving your bank account and how much money is coming in. If you are constantly checking your bank account to make sure you have enough money to make purchases, this post is for you. I am not going to lie. I am completely old school when it comes to my budget. I started budgeting back in 2011 and I still budget the same way. When you search the internet you will run into a thousand ways to track and create a budget. Today, I want you to focus on creating and tracking your budget using only one method – using pen and paper. Take my word for it. You have to learn the basics of budgeting first and to do that we are going to use just a piece of paper and a pen. Super easy. Once you have budgeted for a couple of months, then you can expand your budgeting skills with online programs but for now, I need you to stick with me. Figuring out your income is a pretty easy task if you have consistent paychecks every single month. You get paid the same days every month and it’s always the same amount. You simply add up all of your paychecks and you have your take home income. But what happens when you have irregular income? Trust me, this can create some really bad budgeting headaches. If you do have irregular income, I want you to always focus on the worst case scenario. So for example: Let’s say you work from home as a photographer and you make anywhere from $800 – $1,500 per month. The income that you would use for your take home income on your budget is $800. If you are not sure what your minimum take home pay is, look over the last 3 months. Find the paycheck that was the lowest and use that amount. You want to make sure you use a figure that you KNOW you can make during any given month. ALWAYS. If you make more than that minimum amount, we will deal with the extra in just a moment. Don’t worry. When you create your budget you need to know two different things – what you need to pay and when you need to pay them. Take the paper you wrote your income on and I want you to list all of your bills, the due date for each bill and the amount. It’s important that you’re completely honest with yourself when listing your bills and expenses. You need to list everything, even if the bill is small. The general rule – if you spend money on it, you need to list it. When listing your expenses make sure to list things that you (and your family) can’t live without. These things are called necessities. The things to include in this category include things like food and gas. These are the only two necessities I have in my budget but you might have more to add to the list. If you are not sure on how much you spend on necessities look at your bank statements for the last two months. For example: Let’s say you are trying to figure out how much you spend on food every month. For the month of January you spent $450 on eating out and groceries and for February you spent $360. Add these two numbers up and divide by the number of statements you are looking at. So on average for January & February you spent $405 per month and this is the amount you would use for your monthly food budget. $450 + $360 = 810 ($810 / 2 = $405). Beauty (haircuts etc…), clothes, gifts, emergency savings, vacations, school supplies, and vehicle maintenance. We are extremely fortunate that my husband works on cars for a hobby and for side money. We don’t have to worry about paying for expensive shop labor when it comes to our vehicles. I am also on my “no new clothes for an entire year” challenge so our clothes budget is really low. My husband never buys clothes (or wants new clothes) and I get a lot of my son’s clothes from consignment shops. The area we are working on is our food budget. We are horrible at buying way more than we should and this is a financial goal I am currently working on. So where do you stash the money for your dedicated expenses? The best thing to do is to open a separate bank account for each expense. For example, I currently have 4 savings accounts, one for each of my dedicated expenses. This really helps use put small amounts aside every month so we can have a large amount when we need it. I never recommend stashing cash in your house and it really helps to keep track of everything if it’s not all in one account. This where a lot of people freak out. If this is your first time budgeting it’s normal to come up with a negative number. This just means you are spending more money than income. Most people don’t realize they are doing this until they have it all written down. What Do I Do If I Got a Negative Number? Look for a cheaper cell phone plan. There are some great companies who are offering really great competitive rates. Straight Talk and T-Mobile are fantastic examples. Look at getting a cheaper rate by switching cell phone companies or by combining your cell phone bills and getting a really affordable family plan. Have you looked over your car insurance lately? Try reducing your car insurance by looking over your current plan. Car insurance companies are constantly coming out with new discounts, so make sure to talk to your representative today to see if you qualify for any new deals. 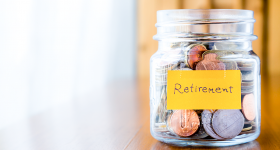 Another area to cut costs is by reducing some of your “dedicated money” expenses. Instead of allocating $50 per month for your son’s yearly birthday party, reduce it to $25 per month. This is the area where you can make the greatest impact because you have complete control over the amount that you spend. What Do I Do If I Got A Positive Number? Having a positive number when you subtract your income from bills/expenses is really a fantastic thing, but you must have a plan for it. I am trying to pay off my student loans, so any extra money gets put towards that. Do you have something you want to save for? Maybe you want to go on a big family vacation or pay more towards your mortgage? This what you use your “extra” money on. You always want to make sure that every dollar of income has a job. This way, if you have a plan for that money you are less likely to spend it. The easiest way to decide when you are going to pay bills is by using the date(s) you get paid. I highly suggest using a calendar. It’s easy to read visually but it also keeps you organized. Write down the days you get paid and pay your expenses based on their due date. For example, I am using pay dates of the 5th and 20th in this example. Our mortgage is due on the 1st so I want to make sure to pay that with the paycheck on the 20th. The cell phone is due on the 15th so I can pay that with the paycheck we get on the 5th. Repeat this until all bills/expenses are listed under your pay dates. Subtract them from your income on that payday. The calendar I am using in this example is a free printable I got from here. There are a ton of free calendar printables on Pinterest that I absolutely love. If you don’t have access to a printer you can find some affordable ones in stores as well (I will be adding my very own free printables to The Budget Mom in the coming months). Don’t be afraid to write in other blocks on your calendar if you need more space. Budgeting your money according to your paychecks is the best method to use if you are a beginner and don’t have a lot of money to work with. 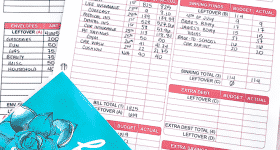 It’s important that you rely on your actual bank account as well as your budget calendar. There have been so many times where my husband bought something and forgot to tell me about it. You always want your calendar and bank account to match. That’s the goal. Pick a day during the week to look over your bank account and adjust your budget calendar accordingly. You might want to do this daily until you get the hang of things. I compare my bank account with my budget every Saturday morning before my son wakes up. It only takes me about 20 minutes and it allows me to spend the rest of the weekend without worrying about anything. Having everything on your calendar is a great reminder to check your budget. 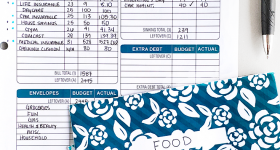 Have you created a budget before? How many times have you failed? I absolutely love this! Very transparent and straight forward. My husband and I paid off all of our debt last year by living on only 50% of our income. But we wouldn’t have been able to do it if we hadn’t first taken a super close look out our income and expenses and create a budget. Instead of writing our finances on a physical calendar, we share a Google Calendar with all of the info like bill due dates and pay days. It totally works for us! I loved this blog post, and you had me up until #5! I am lost, do I write down the expenses on my calendar as I spend them? Are your bills on autopay? For example, when you say you’re paying your phone bill with your payday money on the 5th, are you actually paying it on the 5th even though it’s not due until the 15th? Or are you just writing it there on your calendar bc you know you’ll need to save it? Can u please send me a picture of what that whole notebook sheets looks like? I’m learning how to budget and this is a great example I can use. Thanks in advance. Great tips, I am a blogger myself. I can give tips an advice on budgeting and saving money But I struggle in those areas myself. It’s time I take a step back and take my own advice as well as utilize the steps you gave.